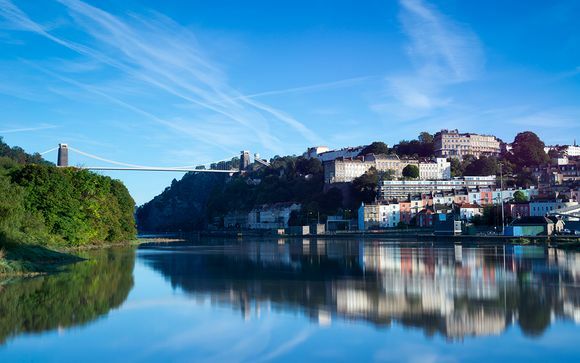 There are several world class attractions in Bristol, from Britain’s most acclaimed historic ship, its most iconic suspension bridge, the world’s fifth oldest zoo, one of Europe’s leading interactive science centres to an outstanding network of free museums. SS Great Britain - Step back in time when you board Brunel’s SS Great Britain. Discover the true stories behind the ship that changed the world. Experience the sights, sounds and smells of life on board for Victorian passengers and crew. Descend under water below the glass ‘sea’ to touch the world’s first great ocean liner. Clifton Suspension Bridge - The world famous Clifton Suspension Bridge was designed by the great Victorian engineer Isambard Kingdom Brunel, although he never lived to see his creation finished in 1864. Its spectacular setting on the cliffs of the Avon Gorge has made it the symbol of Bristol. Bristol Cathedral - A church has probably stood on this site for over a thousand years but it came to prominence in 1140 when Robert Fitzhardinge founded the Abbey of St. Augustine. The Chapter House and Abbey Gatehouse remain clearly to be seen, the other remains are within Bristol Cathedral School. The eastern end of the Cathedral, especially in the Choir, gives Bristol Cathedral a unique place in the development of British and European Architecture. The Nave, Choir and Aisles are all the same height, making a large hall. Bristol Cathedral is the major example of a 'Hall Church' in Great Britain and one of the finest anywhere in the world. You'll also be close to Bath, Cardiff and Weston Super Mare - so why not visit some of these local gems? This is the perfect hotel in Bristol for some rest and relaxation. Enjoy the character and heritage of the harbour side, the fantastic shopping and historic Roman Baths, or stay put and make the most of the generous facilities. The contemporary ambience, luxurious spa and award winning Restaurant make this the perfect hotel in Bristol for people to relax and unwind. Visit the spa where you are free to swim, steam, sauna or workout to your heart’s content. Or perhaps you’d prefer to relax with great food and drink? 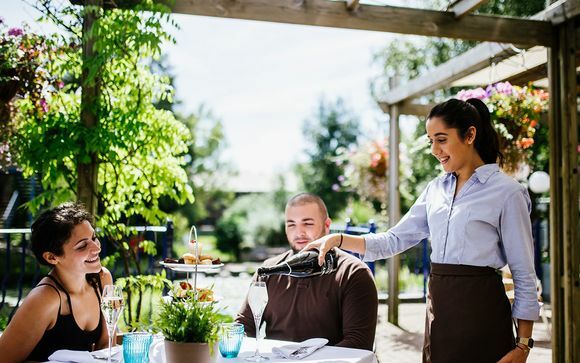 Enjoy a seasonal menu in the stylish Restaurant and Bar or al fresco on the sun terrace – the Chef's table is not to be missed! This offer is based on a Signature Room. 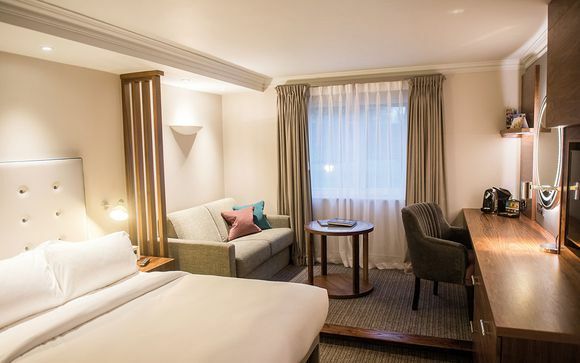 Thoughtfully furnished to create a relaxing environment, Signature Rooms are the perfect retreat after a day exploring all that Bristol, Bath and Cardiff have to offer. With extra comfy beds, mattress toppers, luxurious quilts and a choice of pillows you’re guaranteed a great night’s sleep. And thoughtful touches mean that staying away from home is all that more relaxing and enjoyable. 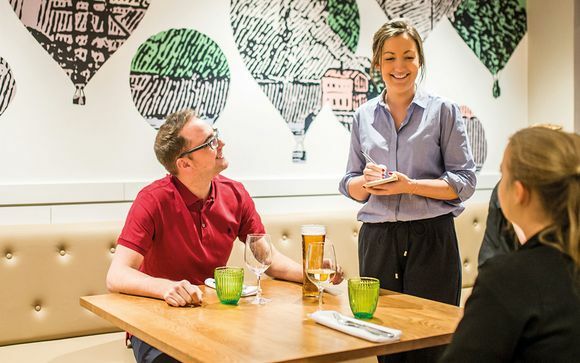 With a stylish and relaxed atmosphere and one rosette standard menu filled with seasonal dishes, it’s easy to understand why the restaurant is a destination in its own right. Dine wherever and whenever you choose – in the bar, the restaurant, a private dining room or al fresco on the sun terrace. At the contemporary Aztec Spa in Bristol, whether you and friends are indulging in a Spa Day or Spa Break, you receive 4-star treatment in more ways than one. 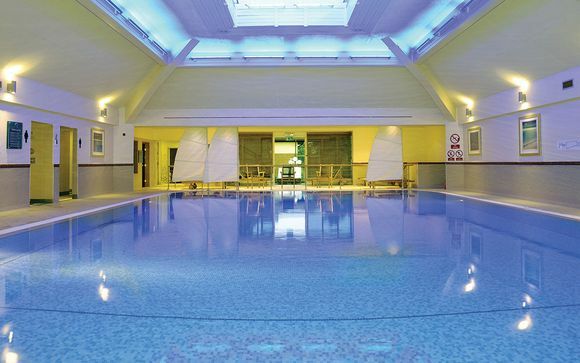 The reception is wonderfully warm as are the large swimming pool, whirlpool, sauna and steam room. There are now also 3 treatments rooms to enjoy a treatment from one of the therapists. • Join M5 (South West) and keep to the nearside lane as lanes merge. • Junction 16 (M5) is only a short distance from the M4. • At the exit, stay in the left filter lane, turning left at the roundabout, heading towards Bristol/Filton. • Move across to the centre lane ready for the next (large) roundabout. You will see the hotel on your right. • To reach the hotel turn right into the Aztec Business Park and then left at the small roundabout. • Take the next (immediate) left turn and then left again into the hotel car park. • Leave the M5 at junction 16 (from the North it is close by after passing under the M4/M5 interchange). • Be sure to move over to the nearside lane ready for Junction 16. • Leave the M5 at junction 16. • At the junction roundabout turn right. • At the next roundabout you will see the hotel on your right. • To reach the hotel, turn right into the Aztec Business park and then left at the small roundabout.